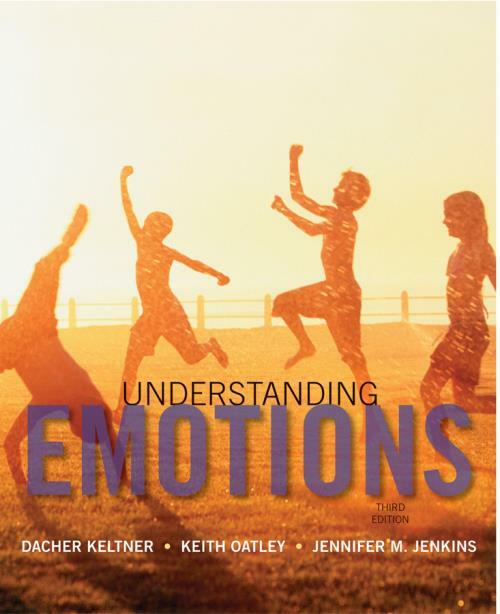 Dacher Keltner, Keith Oatley, and Jennifer Jenkins s Understanding Emotions, 3rd Edition emphasizes the value of emotions and explores the latest research with practical concerns for clinical problems, education and everyday understanding. The text extends across a broad range of disciplines and covers the entire lifespan from infancy to adulthood. It includes sections on the study of emotion, the different elements of emotion, evidence of how emotions govern and organize social life, and emotion and individual functioning, including psychological disorders and wellbeing. Furthermore, the text offers combined chapters on evolutionary and cultural approaches, studies of new expressions (love, desire) as well as new systems of communication (touch, music), findings on emotion and the central nervous systems, and studies on the role of emotion in moral judgment. Discussions of how popular and classical movies emphasize emotions show how to keep an emotion diary to track one s emotions and interactions. The text includes boxes on emotional intelligence and how to improve it as well as scales of assessing the self. Boxes on emotions in art and literature and positive psychology boxes are also new editions to this issue.